Harjinder Pal Singh was born in Jabalpur, India in 1953. His interest in music started early in his childhood. At age 14 years his father send him to learn Tabla, from Bhai Labh Singh Ji of the Punjab Gharana. While learning Tabla Harjinder continued his studies and obtained his Bachelor's Degree in Science. Later on he became the disciple of Ustad Nihal Singh Ji to learn Pakhawaj style of tabla. Seeing his talent, His Holiness Shri Satguru Jagjit Singh Ji, took Harjinder to Bombay and made him the disciple of the santoor maestro Pandit Shiv Kumar Sharma. Harjinder has never looked back since then. He gave his first public performance in the prestigious Pt. Vishnu Digambhar Paluskar Jayanti Samaroh in New Delhi in 1986. While learning the Santoor he got the scholarship of Ustad Allauddin Khan Music Academy Bhopal and participated in the 'Arambh 16' Festival held in Bhopal. He has toured extensively for SPICMACAY (Society for the Promotion of Indian Classical Music and Culture Amongst Youth) and given concerts, lectures and demonstration programmes in schools and colleges in various states in Andhra Pradesh, Kerala, Punjab and Maharastra. * Sangeet Nritya Samaroh held in Delhi which was co-sponsored by Sangeet Natak Academy and ICCR (Indian Council for Cultural Relations). * Sarva Dharam Maitri Sangeet Samaroh held in Bombay in 1993, organized by Bhartiya Vidya Bhawan and Shri Kanchi Kamakoti Peetam Shri Mahaswami Satabdi Mahotsava Samiti. * Several jugalbandi concerts held in Bombay and Pune, with Flute and Guitar. * Youth Festival held in St. Xavier College Bombay. * Sankat Mochan Music Festival Varanasi in 1993. He is a graded artist of the All India Radio. He has toured abroad and performed in various cities in the United Kingdom and Kenya. 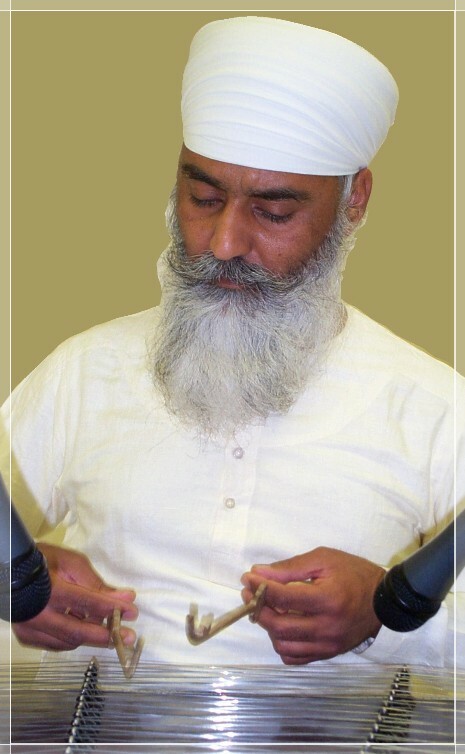 He now resides in Shri Bhaini Sahib where he teaches music at the Sri Satguru Pratap Singh Ji music academy.